"Knowledge is power." was already the motto introduced in the 16th century by Sir Francis Bacon. And today, this widespread belief in our modern society is stronger than ever. Therefore, it is not surprising that as parents, we always strive to provide the best possible education for our kids. I meet more and more parents who decide to register their kids into a private school, starting with JK (Junior Kindergarten). 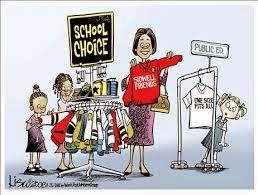 Whatever happened to good old public schools? I went to public school until I started university and I believe the education I received was more than adequate to steer me in the right direction in life to get ahead. That being said, I also wonder whether I would like my son to go to a private school when he starts JK next year (even though my husband continues strongly to insist that we can't afford going private). While many believe that providing a good education is more important in the later years, I strongly disagree. Providing a strong foundation early on is the most important investment you will make, be it in a public or private school. Often, by grade 3, if a child is not engaged in school and is not on the right learning curve, then chances of finishing in the top ten or getting good grades is very unlikely. Therefore, it is extremely important to set your child on the right track from the get-go. Ontario's roll-out of full-day kindergarten program supports many research studies stating that early learning, specifically in a structured JK and SK setting, prepares children better for Grade 1. Furthermore, much evidence suggests that children who were previously enrolled in a half-day or full-day kindergarten program showed stronger language development and better communication and social skills, than those who did not attend JK or SK. I truly believe that there are many great public schools in the GTA. And, I'm a strong believer in the public education system in Ontario. But most importantly, what counts is the teachers who will serve as role models for your kids and who will (or will not) invest the time in your child to challenge and ENGAGE them to the fullest. Engagement is really the key. For the past few years, the Boards of Education in the GTA require that all teachers focus on engaging their students through differentiated instruction and making students want to learn on their own without being forced to do it. Substantial funding has been invested in technology as now it is the key to a child's heart. Unfortunately, not all schools are equal and the newest schools have the best and most up-to-date equipment. But, a great teacher will know how to inspire and engage a student. In elementary schools, there is one main teacher who spends the majority of the time with one particular class; therefore, he or she will be of great influence. You may find that your child is not a good fit for his or her school and may decide to register him/her in another school or different program for one reason or another. I've seen that happen with some of our parent friends. And you may notice that some years your involvement as a parent in your child's everyday schooling may be necessary. I notice that with my oldest this year. Last year he had a different teacher who invested her entire self in every student in the class, but this year in the older group the attention and education is clearly lacking. So, I spend more time with my son teaching him sounds in English and my husband is introducing him to math concepts. 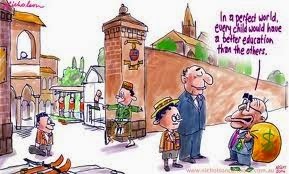 There are many parents who decide to register their kids into a private school for religious reasons. If you are a strong believer, I can definitely see your reasoning. The assumption is of course that you maintain the same strong religious beliefs, values, and practices at home, and outside of school; otherwise, sending your child to private religious school doesn't make much sense. However, I also think that sending your child to a public school with strong religious beliefs is also an option; but, it will be up to the parent(s) to educate their kids at home regarding religious observances, and so on. 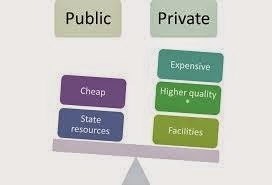 The benefits of private elementary and private high schools differ greatly, simply because the needs of students differ as well. For instance, in JK and SK most parents worry that their child is fed well, dressed well, goes to the bathroom by himself, not being bullied by others, is not shy to express his needs and wants to the teacher, and of course, parents are always concerned about the quality of the education. 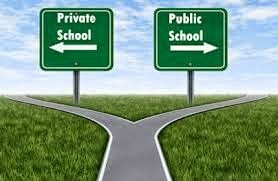 For all these reasons many parents, assuming they have the financial means to do so, choose to send their child to a private school, especially for JK and possibly SK years. The change from preschool to SK is a lot to handle for a 4 year-old. In a public setting you will be expected to feed your child breakfast in the morning, and pack snacks and lunch for the day. As a child, you will be expected to get accustomed to a big class size setting with one main teacher, to go to the 'big boys' or 'big girls' bathroom by yourself, get dressed warm enough and change into outdoor shoes when going outside, remember to take out your snacks and lunch, and eat them too! And for some, taking the school bus. You may be thinking "that's easy, my son/daughter already knows how to do all that, should be a piece of cake", but for many parents and kids, these everyday things pose a great concern. In a private school, teachers will ensure that your child is well fed, well dressed, reminded to go to the bathroom, and on track to learn how to read, write and speak in English and possibly another language as well (depending on the daycare or school). Obviously, private doesn't mean everything will be perfect, and the most common comment I hear from kindergarten teachers is "We're not babysitters, we're teachers. ", so your child will be expected to be more independent in a private setting as well. Class size in public full-day kindergarten is 26 kids on average (as required by the Board) with 1 main teacher and an early childhood educator, although the number of students per classroom is often much higher. In primary classes there is a cap of up to 23 kids maximum. Private daycares in Ontario are required to have 1 educator - certified ECE (Early Childhood Educator) for every 8 preschoolers, and primary classes have a cap of 23 or 24 students per class. A major concern for parents in Ontario full-day kindergarten program is that children are squeezed into split classes, for instance JK and SK could be in one class, or SK and grade 1 could be put together as well (all due to budget pressures from the Ministry). A split classroom with children whose age ranges from 4 to 7 is often the case in many schools in Ontario. There are country-wide debates on whether learning suffers or not in these classrooms, but as a parent, I'm sure you would be concerned. arts: engage in visual arts, music, drama, and dance; communicate ideas through various art forms, etc. More details on specific expectations in the Kindergarten Program can be found at www.edu.gov.on.ca. Under specific reading expectations, the Ministry of Education says: "As children progress through the Kindergarten years, they will demonstrate an interest in reading, respond to a variety of materials read aloud them,...", and on it goes. I almost fell off my chair reading this. The entire kindergarten program outlined in the ministry guide is so vague. Nowhere does it say, "by the end of SK, your child will be able to read simple stories using 3-6 letter words", or something of that sort. And, the same goes for writing skills. I can't imagine what they are required to learn in math; maybe count 1 to 10? Maybe I'm being too judgmental, but when I know that in a private school, by end of SK, my son would be reading easily simple stories on his own and write full sentences (I've seen living proof in my son's daycare), I'm somewhat disappointed in our elementary public education system. In high school, the benefits of a private school are quite different. Class size in public secondary grades is set to 22 students or less on average (so, it could be a bit more or a bit less). Usually, private schools in Canada have lower student-to-teacher ratio than do public schools; this means that each student is entitled to more attention individually from the teacher. Moreover, teachers have the opportunity to get to know each student better and customize each learning experience to suit students' needs. 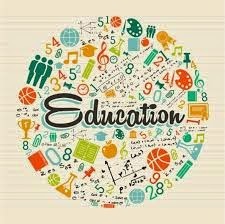 In private high schools, more time is dedicated to extra-curricular activities, such as art, music, dance, community service, daily sports, and fundraising to help developing and underdeveloped countries. Many working parents appreciate the "one-stop-shop" in these private high schools. In private schools, principals and teachers are not required to be licensed by the Ontario College of Teachers (OCT); but, many private schools still choose to hire teachers with OCT designation only. Private schools establish their own qualifications criteria. In addition, you may want to consider other schooling options for your child based on your specific needs and wants. These include, but are not limited to: single-gender schools, the Toronto Waldorf School, Montessori method learning, Triangle School in Toronto, Bill Crothers all sports high school in the GTA, Toronto Autism schools, special gifted programs, Ukrainian and Hebrew bilingual schooling in elementary in Winnipeg, C.H.A.O.S. (Community, Heritage, Adventure, Outdoors and Skills) Program in Yukon, Curling Academy in Victoria, B.C, Earthkeepers program in Saskatoon, Start2Finish program coast to coast, International Baccalaureate (IB) program, and many others. My thoughts in a nutshell... I'm a strong believer in the public education system in Ontario. Class size does matter if it reaches more than 30 in early years, but good teachers matter much more! Split classes definitely slow down learning for many students, but the Boards of Education are trying to change this due to many complaints from parents. If you are planning to register your child in a private daycare or school for JK and SK, it is only worthwhile if you will continue going private in the primary years or proceed with French Immersion, otherwise your child will most likely be bored in public Grade 1 as s/he will be ahead of most students. In addition, for the little ones, spending time and learning with your child at home is very important to provide not only educational, but emotional support as a parent. Further down the road, a private high school definitely has its advantages. Smaller class size, variety of extracurricular activities, availability of more resources to provide advanced placement courses for students, better facilities and the alumni connections to enrich career options are just to name a few. 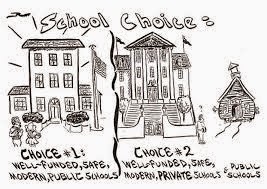 However, if you are sending your kids to a private school, I think you have to be part of that 'wealthier' circle and be prepared to spend money not only on the private school but on the private community as well. Often, kids who are sent to private schools but denied other luxuries that go with the package will question you: "why don't we have a big beautiful house like Jake? or why don't you drive the latest BMW? And, what about teaching good old fashion values about life? It could be challenging if you don't have the 'entire package' to send your child to a private school. And then there is the question of drugs. Yes, drugs. Although we may not want to admit it, in private or public high schools in the more wealthier neighbourhoods you will see more drugs. Where there is more money, there is more drugs. Unfortunately scary, but true. This is just something you have to be aware of and to watch out for it when it comes to your kids. With so many options, my advice to all parents is select schools wisely. The best ranking private school may not be the best choice for your child, even if you can afford it. What truly matters is knowing and understanding your child's learning style, as well as his/her skills and abilities, and finding a school that will fit that style, while emphasizing your child's strengths and improving his or her weaknesses. This is definitely a challenge for any parent. 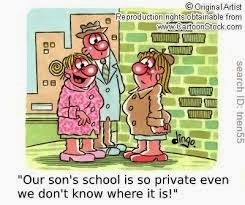 Do your due diligence to find the right school for your child! 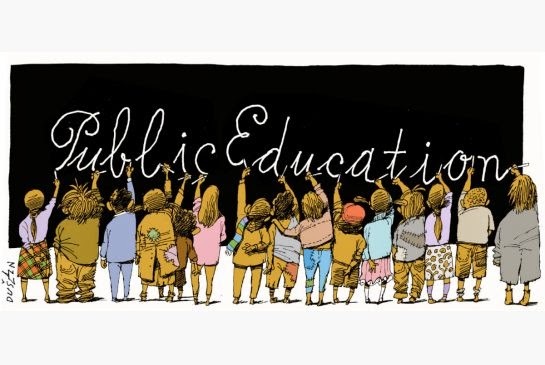 When I asked my parent peers what they thought about the private and public schools in the GTA, I was pleasantly surprised that most of them prefer going public. Here are a few comments I'd like to share with you. "In preschool my kids learned counting 1-10, writing and into-science. 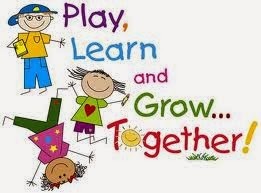 In JK, they learned rading, writing, counting 1-20 and backwards, patterning, intro-science, addition, and subtraction. In SK, they learned reading books level 2-3, writing short stories, 2-3 page blog entries, grammar, punctuation, pattern-counting, science, addition and subtraction of 3-digit numbers and fractions. In grade 1, my son learned reading, writing and counting in French, and multiplication." - kids attended private Preschool, private JK, public SK and grade 1 French Immersion. For the York Region District School Board, kindergarten registration for the 2015-2016 school year will begin in January 2015. You are advised to schedule an appointment and bring required documents with you for registration. More information can be found at www.yrdsb.ca. 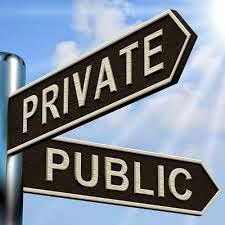 More information on private schools in the GTA can be found at http://www.ourkids.net/toronto-private-schools.php. Another good source of information is http://www.helpwevegotkids.com/toronto/listings/education. For public schools visit your home school board for details.